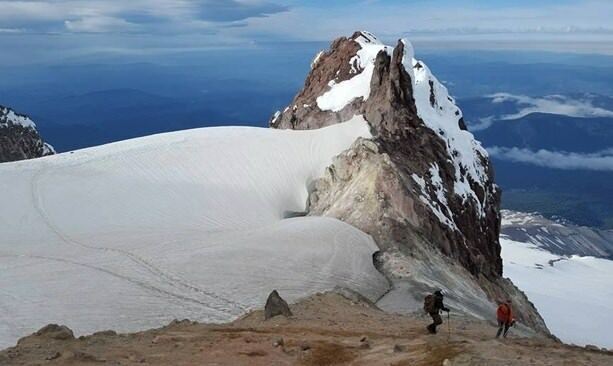 Each June, a group of climbers emerge from Timberline Lodge in the middle of the night, load up with head lamps, ice axes, crampons, harnesses and backpacks, and begin their careful ascent up the south route of Mt. Hood. 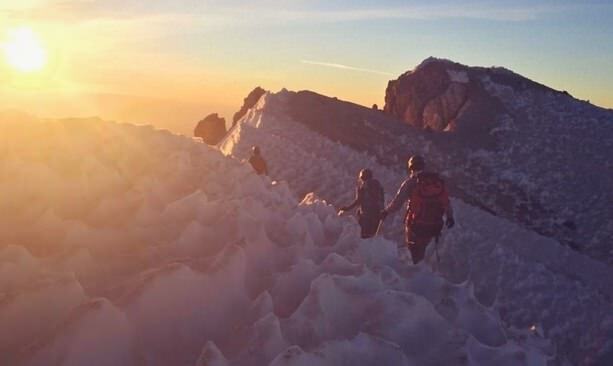 About five hours later — just in time for sunrise — they reach their destination: the glorious 11,245-foot summit of Oregon’s highest peak and most iconic landmark. In between patches of clouds covering forested hills, lakes and icy peaks, it’s an otherworldly sight. 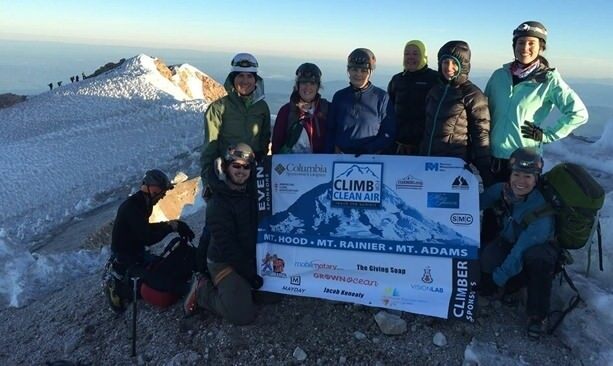 Capping several months of training, climbers take in unmatched views of Mt. Rainier, Mt. Adams and Mt. St. Helens to the north, the Three Sisters and Mt. Jefferson to the south. And the feeling that they can conquer anything. “When you reach the top it’s an emotional release; it’s not something you can intellectualize,” says Stacy Allison, 58, a Portlander who became the first American woman to summit Mt. Everest in 1988. 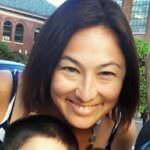 A year earlier, Allison co-founded Climb for Clean Air, then called Reach the Summit, a fundraiser for the American Lung Association. The program (June 4 -5 & 7 -8, 2018) uses certified mountain guides and a loyal crew of past participants who serve as mentor climbers, assisting with everything from basic conditioning to technical skills. 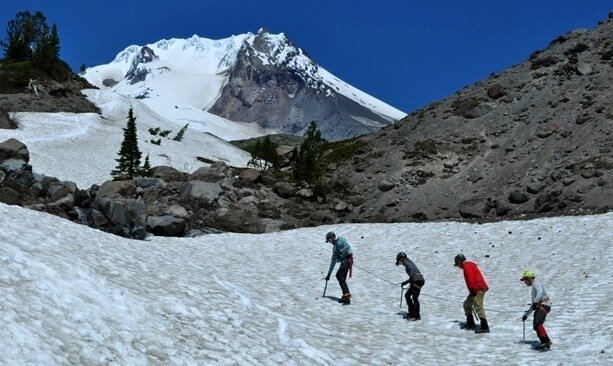 Training hikes of progressive difficulty are scheduled in the months leading up to the climb, plus a clinic on gear use, a session on snow skills and social outings to foster team bonding. Allison has summited Mt. Hood countless times in past decades, on her own and in support of the program. Often, she serves breakfast to participants as they begin their 3,000 foot ascent to the summit from Silcox Hut, about 1,000 feet above Timberline Lodge. Many participants take on the climb as a personal adventure challenge — a bucket list item, a longtime fascination or fitness goal. Others take it on in honor of a loved one affected by lung disease. Yet another way to raise money for lung disease is the annual American Lung Association Reach the Beach bike ride (May 19, 2018), which winds through Oregon’s wine country and coastline, ending in Pacific City with a beach party, dinner and beer. Riders can choose from four distances: 26 miles, 55 miles, 80 miles or 104 miles, depending on their level of fitness. Whether it’s riding a bike or summiting a mountain, local organizations and outfitters offer plenty of guidance and support to help first-timers reach their goals. One of them is Timberline Mountain Guides, which leads 1- to 4-day trips to the summit of Mt. Hood between April and early July. Always check mountain conditions before you go.